If I could give more than 5 stars I would!! I cannot say enough great things about this wonderful team! Matt and Naomi came highly recommended to help us with our relocation from IL to FL. As you can imagine this is an incredibly stressful time when trying to find a home for our family in an area we are completely unfamiliar with. Matt not only took countless hours to meet with us to drive us around and familiarize us with the area but was also able to find us an incredible home! This could not have been a better..and do I dare say actually FUN process!! When thinking of choosing a Realtor you can't go wrong with these two. You won't find anyone more experienced, knowledgeable or dedicated out there! Matt and Naomi are the BEST!!! Naomi and Matt Wilkinson were a pleasure to work with. They were extremely helpful throughout the home buying process. I always felt my best interest was there priority. Matt and Naomi have been realtors working with our family for years. They have always treated us with care and consideration. They were patient considering I was so picky with what I was in the market for. Matt sold us our first home and we plan on purchasing our next with Matt as well. HIGHLY RECOMMENDED! Best realtors in the business! Choosing Naomi and Matt to act as our agent in the purchase of our new home was one of the best decisions we made. Their expertise, knowledge of the area, attention to our concerns, and incredibly quick response time to emails and calls, makes them a "stand-out" in their profession. I wouldn't hesitate in using them again and highly, highly recommend their services. Naomi is the best real estate agent that I’ve ever dealt with. She is professional, prompt, and extremely knowledgeable about real estate transactions. My mind was eased by her handling our purchase, as she was always one step ahead during the whole process and she made sure everything went smoothly. I give Naomi my highest recommendation. Naomi and Matt were wonderful to work with in this whole process of selling, buying a new build and along with finding us a temporary residence until our new home was completed. I would highly recommend them both, their knowledge of the real estate market and the area made our experience a very positive one. They are both very professional and we have had many people say how wonderful they were to work with. Being it a sales representative for a builder to other realtors that we met during showings at our home. I don't think there's enough space here to properly describe the impeccable service that Matt and Naomi provided for me and my family. Matt went above and beyond which led us to the perfect 'first home'. Without their help, we'd probably still be renting. I can honestly say that Matt is well versed in all aspects of new homes. I HIGHLY suggest that if you're reading this and are looking for an agent, or even if you already have one, then you need not look any further. Call them NOW! Matt and Naomi assisted us in finding a rental home when we relocated to the Jacksonville area last year. The process was smooth and quick. We were under very tight time constraints. Matt and Naomi could not have been more helpful and really made the transition far less stressful than it could have been. Once we were ready to purchase, Matt was patient and showed great professionalism. He is knowledgeable and really worked hard to find a home that suited our family. We couldn't be more pleased! We have purchased and sold many homes over the years. Matt and Naomi are by far the most professional and personable real estate agents we have ever had the pleasure to work with. This pair is TRULY a dynamic duo!! We started looking for a house in an area we weren't very familiar with and Matt was extremely patient. He helped us find exactly what we wanted and needed. Matt was always available and made us feel like we were a top priority. When we listed our old house, Naomi made it way less painful than we anticipated. With their savvy expertise, we got two offers on our house the third day it was on the market!! Naomi has been amazing through the whole process. She has gracefully walked us through some very stressful times. These two work hard every day to receive these five star recommendations. We highly, highly recommend choosing them when listing or buying. 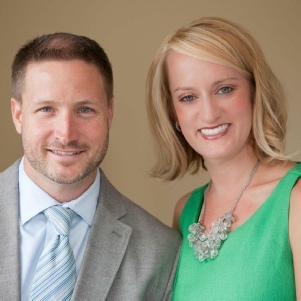 Have never had a more pleasant realtor experience than with the incredible team of Matt & Naomi Wilkinson. Will never use another realtor. They are honest, hardworking, knowledgeable, courteous and incredible thorough in their work. Nobody better to have on your team while you negotiate your home purchase or sale. Have referred friends to them and will continue to do so. They're an amazing team. I have had a number of opportunities to work with Naomi & Matt. Both on a professional level and in them helping my family find our home when moving to Jacksonville. Their responsiveness and knowledge of the local market place them in a level of professionalism I do not often encounter. I can sincerely offer a full recommendation without reservation for Naomi & Matt. We worked with Matt and Naomi this past year. Matt really spent a lot of time getting to know us and our needs and wants to find us the perfect area and home. For half of the entire process we were living across the country and they really went above and beyond to make sure things were taken care of. We ended up going with new construction and building a new home and we are thrilled with the home! Thank you Matt and Naomi for making our move to FL so easy!!! Matt and Naomi are THE ONLY reason we are in our new home!! They made sure that everything got completed when it needed to - even when it was the other agent's responsibility. They got us the BEST price on the home we were selling and made everything so easy. They always answer my calls, emails and texts and made sure we were comfortable during the process. We love them so much they are now helping my parents buy their new home. I would give them more than 5 stars if it was possible! !